Doug Parkinson’s homage to Joe Cocker is not only a respectful and heartfelt dedication to the man and his music, it also showcases Doug’s own hits in his first set and all the Cocker hits in set two. An unbelievable evening of not one but two of the greatest soul voices of our time. 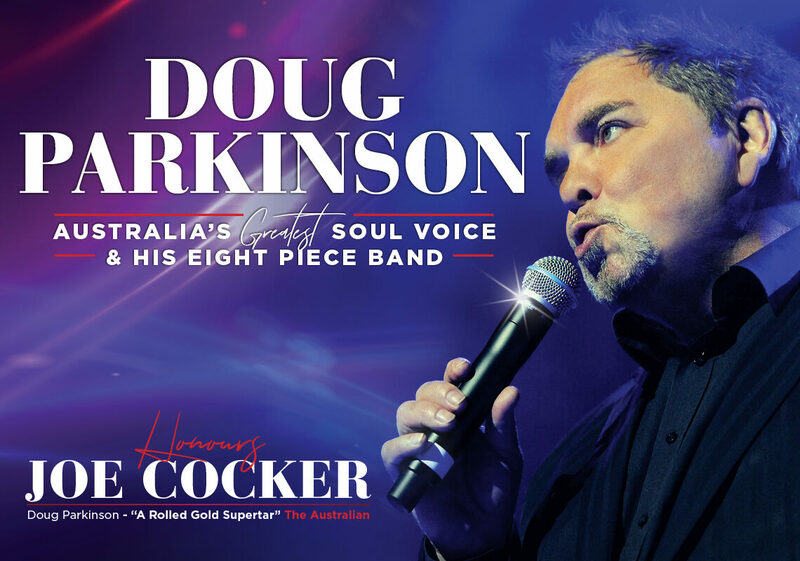 Joe Cocker is an irresistible force who combines a love of American soul music with standout interpretations and depth of feeling, terms often used to describe the soulful smoky voice of Australian singing legend Doug Parkinson.